“More?” you ask… yes, absolutely (oh, I’m not finished yet). This little money-spinner is gathering momentum as it rumbles towards 29th April, and yet more Royal Wedding goodness is hitting our stores. I love this cartoon-like print of Wills & Kate (with his grandmother’s Corgis at their feet – brilliant! )… and I could certainly find a home for that Jan Constantine-esque cushion too. If I know the happy couple as well as I think I do (y’know, from reading Hello magazine and watching the E! 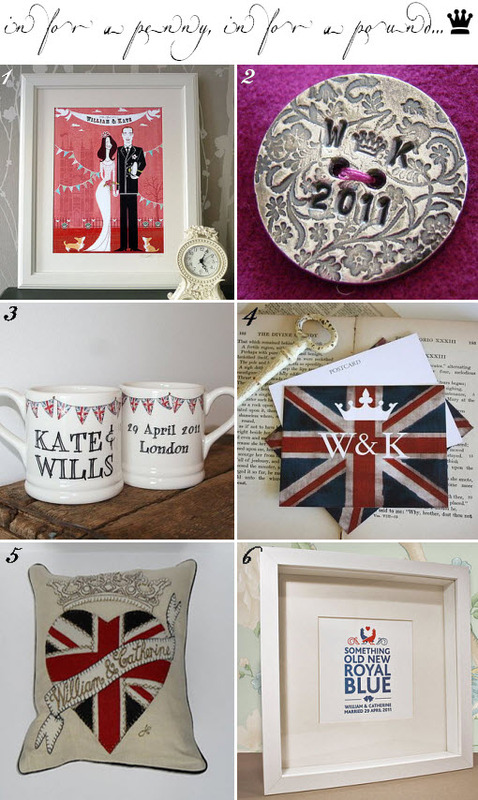 True Hollywood Story), then I reckon they’d be fully on board with all these Royal Wedding keepsakes. The Queen, on the other hand, has taken to pursing her lips and muttering the word “circus” under her breath*. *this is just conjecture. Please don’t send me to the Tower.